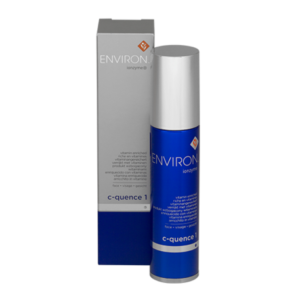 Environ’s C-Quence Toner Contains Palmitoyl Pentapeptide- 4 (Matrixyl®), which is known to help enhance the appearance of firmer skin. 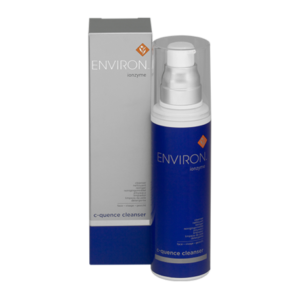 This toner is specifically formulated to work in synergy with the ingredients contained in C-Quence Crème and C-Quence 1 – 4, as well as to help increase hydration and improve the appearance of uneven skin tone. It contains Palmitoyl Pentapeptide- 4 (Matrixyl®) which is known to help enhance the appearance of firmer skin. Help increase hydration and improve the appearance of uneven skin tone. Packaging: available in 130ml bottles that protect the active ingredients from light and air. It contains Palmitoyl Pentapeptide- 4 (Matrixyl®) which is known to help enhance the appearance of firmer skin. Help increase hydration and improve the appearance of uneven skin tone.